Explanation: Early morning risers along Florida's Space Coast, planet Earth, were treated to a launch spectacle on September 2nd. Before dawn an Atlas V rocket rose into still dark skies carrying a US Navy communications satellite from Cape Canaveral Air Force Station into Earth orbit. 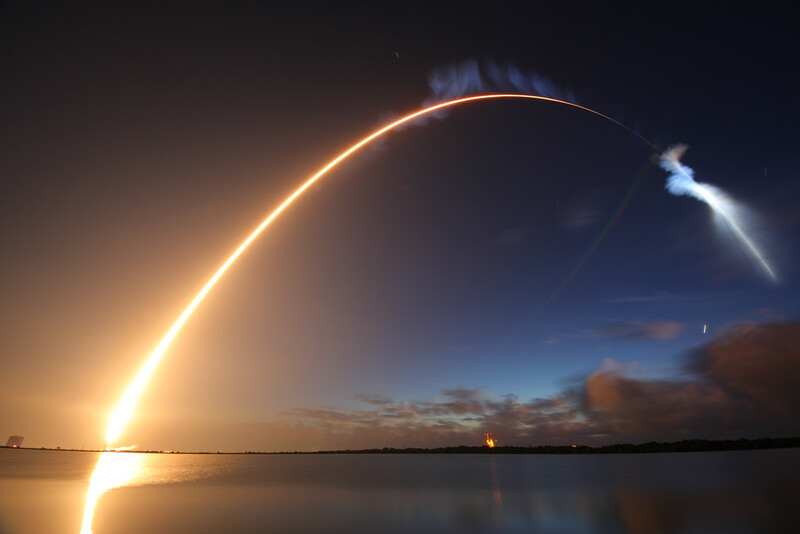 This minutes long exposure follows the rocket's arc climbing eastward over the Atlantic. As the rocket rises above Earth's shadow, its fiery trail becomes an eerie, noctilucent exhaust plume glinting in sunlight. Of course, the short, bright startrail just above the cloud bank is Venus rising, now appearing in planet Earth's skies as the brilliant morning star.